VACUUM HOSES: STRONGEST ever! Dual Silicone layer with woven fiber reinforcements! Look no further if you are after a vacuum hose that will OUT-PERFORM and OUT-LAST any other out there! Made with 2 layers of high grade silicone, with a woven fiber reinforcement embedded in between, X3E is proud to offer you the STRONGEST VACUUM HOSE ever! With a 10 kg weight, the stretch is about 5% only! THIS means SPOT-ON boost control! CUSTOM extruded based on X3E demands for eXtr3mE motorsports' use. 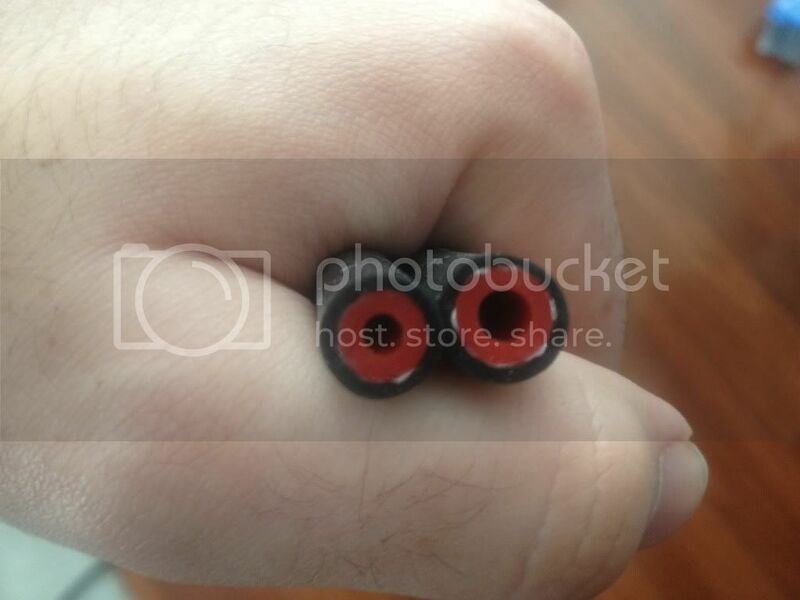 Above photo shows the hoses; BLACK COLOUR outside and RED inside, to show the dual layers with fiber reinforcement inbetween. 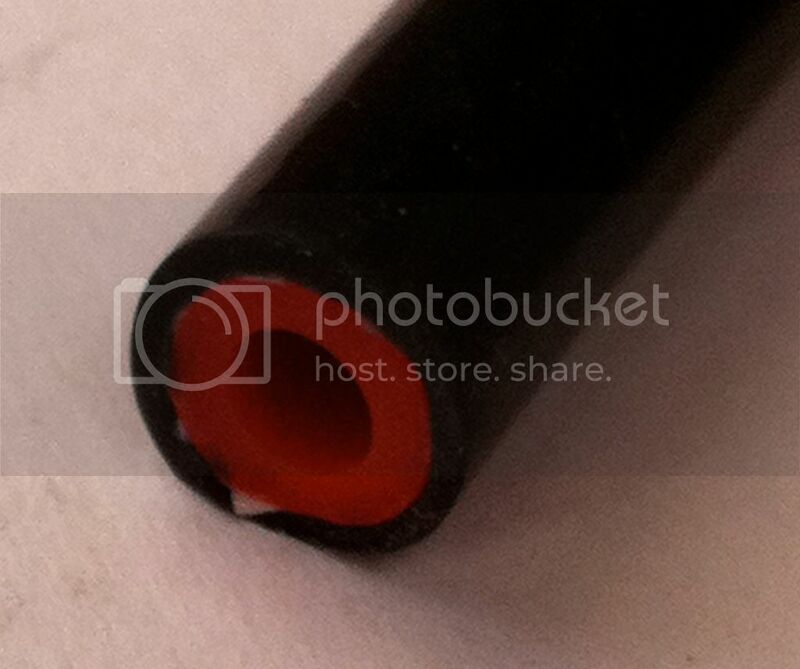 Available in 3mm or 4mm ID only and ONLY BLACK COLOUR outside and RED inside, to show the dual layers. Very limited stocks of only 150 metres of each size. Also available is single layer, but 3mm wall HIGH QUALITY silicone vacuum hose, thickest in the market, can be stretched about 30% and does not change colour when stretched. MOST others NOT only stretch more than 50% but some even fade in colour when stretched, exposing the poor quality of silicone used. Registered postage is $7 for up to 3.5 metres or $12 for up to 20 metres. HIGH QUALITY performance parts at REAL PRICES! Thanks for the quick delivery Ivan. Even over the Easter holiday Ivan responded to my questions. 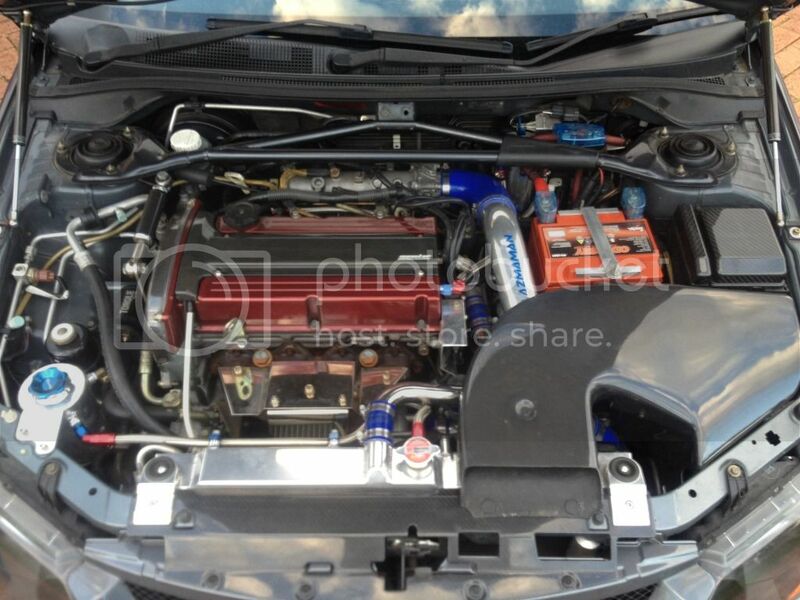 THANKS for the photos....do update the engine bay when done, to show the real sleeper looks...just the ends showing abit of the RED. Looks to be the same stuff that is supplied by Borg Warner OEM on their new EFR turbo range, will be getting some of this off you soon Ivan! Doesnt anyone have a listing of the ID required for the lines in the Evos? I will be working on a kit for E4-9 and X soon, once I get my new factory running in 2 weeks! Anyone in VIC can PM me for a free install, just pay for the hoses, so that I can offer the right hoses for other members. I'll be coming around on Friday arvo or sat to pick up/pay for that dump Ivan. Wanted to get some of these hoses too so maybe you could install and make a kit at same time, I'll take some pics for my build thread also. I'll be interested in a kit that contains everything in correct lengths, if that what your planning Ivan. Reason why I haven't got any of the yet, is because I don't know thickness and lengths for everything on the car. Thats about the only thing stealth in my bay haha! does anyone know how much is needed to redo the whole car? I have various lengths needed due to boost controllers, or relocated parts. But for these, most use about 2m of 3mmID or so. So with aftermarket BOV uses 4mm ID hoses. Been really busy setting up the new factory, but will get into sorting this out on a car soon! Want to replace all hoses as I am leaking somewhere. I'm also up for a full replacement, any idea how long it will take to get it all out in? Each car varies as there can be changes to the stock set up with boost controllers, etc. Most will do OK with 2 metres of 3mm ID and 2 metres of 4mm ID. Do you have this hose in stock? I'm looking at the dual layer and I'd want around 3m each of the 3mm and 4mm hose. Are these hoses still available? YES, instock but limited, about 20 metres or so each size only. Hi Ivan, looking to get away from the horrible looking blue Turbosmart stuff and stealth the E8 bay, did you end up figuring out how much of each is required? Keen to get some to give me something to do to the car! Most order 2 metres of 4mm ID and 1 metre of 3mmID. Do you still have 2 meters of 4mm and 3mm in blue color? 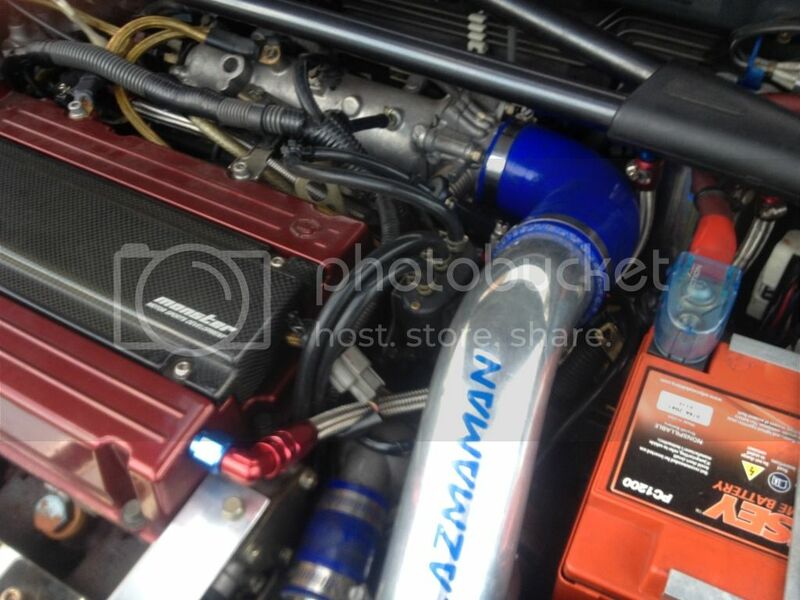 Sorry to revive this, what are the main size/s I would need to do the majority of my vacuum hoses around the engine bay? 3mm and 4mm for the smaller vacuum and boost hoses, 2m each should cover most. 2m of each? looking to re-do most of the visible and easy to get to vacuum hoses.